Polenta, also known as cornmeal, grits, and mush, is a native Italian dish that is eaten widely around the globe with various variations. Generally it is served as a mush, served with vegetables and sauce or beans. Polenta is gluten-free and delicious when cooked with a little salt, and the addition of a little olive oil at the end of cooking. The basic recipe is one part polenta to four parts water (by weight) and salt. It is important to bring the salted water to the boil first, then add the polenta while stirring. As soon as it is thick put the lid on, and reduce the temperature to minimum. Leave it to steam away for 30 ' 60 mins. (Finer polenta cooks more quickly than coarse). At the end of cooking add some olive oil and stir in. Don't worry about it sticking to the bottom of the pan, just serve the polenta and soak the pot in cold water. After several hours soaking the layer of polenta stuck on the bottom of the pan will just lift up, making cleaning very easy indeed! Polenta chips or wedges are also very popular. Follow the same method as above for cooking the polenta, then spread onto a tray to set. When cold, cut into squares, triangles, or chips, then gently toss in a bowl with some olive oil, seasoning and paprika. Roast in the oven (high heat) for around 15 -20 mins until golden and crispy. Delicious and a good accompaniment to potatoes or beans. Also delicious served with mushroom sauce. It is also delicious when the cooked mush is used as a pizza-base, spread with tomato sauce, vegetables and topped with feta or fresh mozzarella or bocconcini cheese. It is also loved as a sweet dish, either just cooked as a mush and sprinkled with fruit and nuts and a dash of agave syrup and yoghurt, or cooked with dried fruit, soy milk, some sweetening and coconut, then baked until golden. Serve hot with fruit salad. 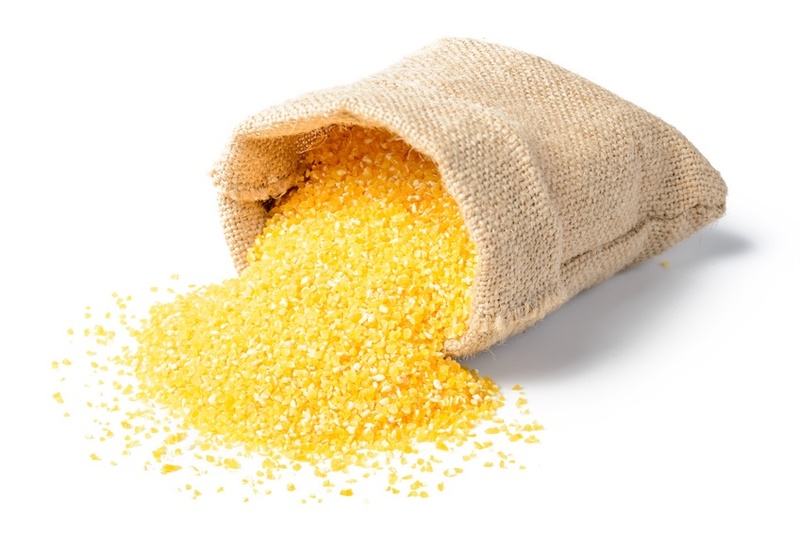 Polenta contains a long list of nutrients. This whole grain is a good source of niacin, thiamine, riboflavin, pantothenic acid, folate and vitamins B-6, E and K. It contains 18 amino acids and valuable minerals such as iron, magnesium, phosphorus, potassium, zinc, copper, manganese and selenium. It is high in carbohydrate and makes a complete meal when combined with potatoes.